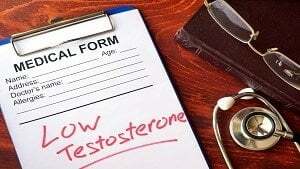 Throughout this article I’ll be giving my chronicles of my progress with testosterone replacement therapy aka TRT for short. Before we start with how TRT is making me feel, let’s do a quick recap of how I find out I had low testosterone & how I progressed. Feel free to skip forward if you’re not interested in the backstory. There I was 30 days into NoFap & I was curious too see if NoFap did anything for raising my testosterone levels. So I had taken a day off work to get my car worked on & there was a LabCorp office right beside the car mechanic. Decided what the heck, would give me something to do while I wait. Note: You don’t just walk into a LabCorp & tell them you want your testosterone levels. What you do is just order a test online from somewhere such as DiscountedLabs.com. You pay for the test they send you paperwork to you through email. You print that paperwork off & bring it to your nearest LabCorp. After that you will get your results back through your email in a few days to a week. No need to see a Dr or anything. Very easy & simple to do. Well about 3 days later I got my results back to find out my overall Testosterone was in the low 300’s. This led me to diving into a non-stop researching about TRT. The symptoms of low T, the benefits, risks & everything you could think of about going on TRT. Speaking of symptoms of low T was I having any? Here is everything I was going through as a 28 year old man. The prime of my life, or what should be. Hard to lose body fat. Now where some of this gets tricky is some of these can be contributed to side effects from the Effexor I was taking but I didn’t want to stop it because I was scared of how the depression would effect my performance at work. Also, Effexor as with most anti-depressants are known to be a killer for sexual performance. (I had these issues even before starting.). Energy wise was hard to gauge for me because the Adderall usually kept me going, along with a good amount of caffeine. I ended up quitting the Effexor about two weeks before I started on TRT because I wanted to see how different I felt & how the TRT impacted it. (More on this below). At first I searched around various clinics near me. I knew how much of a pain it would be to get my Primary Care Physician to put me on TRT, that was even if he knew much about it. Reading around on multiple forums/communities, you’ll find a lot of reviews that most regular Doctors have no clue about prescribing TRT. Heck, even some specialists don’t seem to fully understand what all goes into treating a TRT patient. After much research, this led me to going with a clinic called Defy Medical. Their office is in Florida but they are able treat patients across the United States since it’s a telemedicine clinic which they can do their consults over the phone. You never have to set foot in their office. Here is my Defy Medical review, if you want to see more about them. I have been lifting for about 8 years now & put on a ton of muscle, which no one can really see because it’s covered by so much dang fat. I workout 3-4 times a week. Over the past year my workouts have been very lackluster. No intensity, what so ever. I starting dieting 1 week for starting TRT or I guess I should say “cutting”, if I want to sound more manly about losing weight. Just wanted to give a general overview here of what I’m doing. I’m not going to update with my lift numbers or anything like that. Just posting progress pics through this process. Was insanely excited when my Testosterone & Hcg came in through the mail. It literally felt like Christmas! There won’t be to much to report at this point but I will document it just for the heck of it. Strength: I want to say strength is slightly up but I think I may have just had a good day or two of lifts. Don’t want to give the trt credit yet since I’m not noticing it working anywhere else. Libido: As of now. I feel nothing from it. Haven’t noticed anything yet from the TRT. No libido boost or anything. From pretty much everything I’ve read, you don’t start to notice the effects of trt until somewhere between weeks 4-8. With that being said, I did notice a couple of things. Mental State: On the 2nd week it I seemed to have a spike in anxiety, just general anxiety. Seemed to go away by week 3. This isn’t uncommon from what I’ve read. Now as I mentioned in my symptoms section towards the start, I stopped taking my anti-depressant Effexor. I noticed after stopping this that I was not craving sweets as much & the adderall was working better. Only mentioning this because I’m gonna be posting updated pics of how I look through this process. I noticed I was down about 4lbs which brought me around to 196lb (starting weight was 200lb). This was a good start because it may have actually been more because you usually gain water weight after starting trt. Sleep: Around the fourth week I started waking up about an hour after going to bed. Would almost be an exact hour everytime. Wasn’t to use the bathroom or hunger, just woke up & felt fully awake. Was very weird. I am able to go back to sleep after about 30 mins but hopefully this goes away, rather annoying more than anything because sometimes I have a difficult time going back to sleep. When will I start to notice testosterone replacement therapy starting to work? Shouldn’t I feel it working by now? At least something right? These are some of the question I started to constantly research even though I already knew the answer. Which is 4-6 weeks for most people to start to notice something working with TRT. With my original followup not due for another 6 weeks I decided to take a look at what was going on under the hood (got labwork done). Was driving me crazy not noticing anything working so I went ahead and ordered some basic labs to see where my Total Testosterone, Free Testosterone & E2 (Sensitive) was at around the 6 week mark. 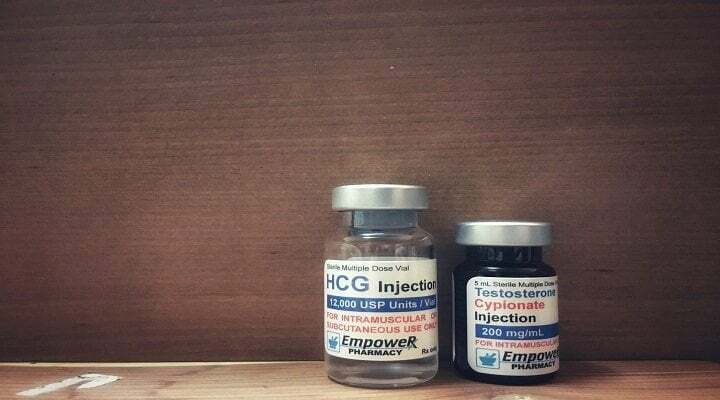 I was very shocked when I got the results back to find that even on the 140mg of Testosterone Cypionate & 80 units of hcg per week that my Testosterone levels were still super low. My e2 was also still on the low end which was also a concern that the Doctors were wanting to bring up into range. Knowing I had to get my dosage upped I went ahead & made an appointment with one of the nurses at Defy for a mini-consult 2 days later. She bumped me up to 180mg of Testosterone Cypionate per week from the 140. Also, increased the hcg to 100 units from the 80 units. My first injection at this new dose won’t start until tomorrow for me so I can’t comment on it yet. Alright, so it’s been a minute since my last update. The last thing you heard from me was we had gotten my dosage raised..well that’s where things went to hell. No motivation to do anything, like update this article for instance. I had zero energy, anxiety went up, stopped going to them gym. Basically all the small improvements I made went away after bumping up my dose. I can say this had come from my estrogen shooting up. Below is where the symptoms came from. For reference my Estrogen levels were 17.3 at the 140mg dose, so estrogen almost tripled. Started using my Ai (Anastrozole) to lower my estrogen to see how I felt & it made me feel even worse. It didn’t crash my e2 or anything but I just didn’t feel good on it. So now we have lowered the dose to 160mg of testosterone per week which should be the sweet spot since 140 was to low & 180 was to high. Well I’ve been on it 3 weeks and it wasn’t to much better. Then I decided to drop the hcg to see how I felt & I notice I started feeling slightly better without it. Not as moody & more energy, still no libido though. So my thinking is estrogen maybe shooting up when I do my injection & as it starts to come down I’m feeling better. So what I’m trying now is using a supplement called DIM which can help your body filter out estrogen quicker. I’ve just ordered that this week so will update after I’ve used it for a week or so. As for energy, I have definately been feeling better energy wise at this dosage, I’m able to hit the gym 3-4 days a week with decent motivation to lift. Yet, I still feel it’s forced, like I feel I’m almost there with getting everything dialed in but just out of reach.